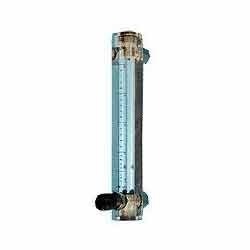 Creating a niche of Rota meter such as Glass Tube Rota meter, By Pass Rota meter, Acrylic Body Low Flow Rota meter and Metal Tube Rota meter at its best, with utmost quality. 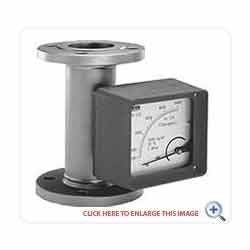 With our expertise, we are able to put forth a wide range of Metal Tube Rota meters, which is perfect for applications of high pressure, temperature and corrosive conditions. To ensure that our offered rota meters are able to serve our patrons for long, we manufacture these using high in class raw material, sourced from the most reputed vendors. It has a tapered metal tube, an indicating assembly and a float. Along with the tube, a magnet encapsuled in float couples with rotating magnets linked to an indicating pointer. The movement of the float is accurately presented in terms of flow rate. NOTE-Price range varies as per specifications and requirements. 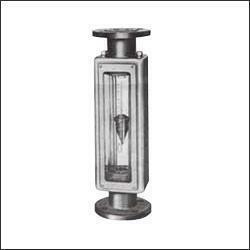 We are a quality focused organization engaged in offering a broad assembly of Glass Tube Rota meters, which is basically a variable area flow meter. The offered tube rota meters are widely appreciated for their high standards and availability in customized form. To ensure the pressure of these standards in the offered array, we make use of high grade components in the manufacturing process while keeping in mind the requirements of requisite industry. 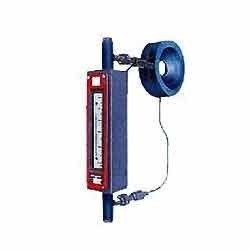 With the help of our distinguished professionals, we are able to bring forth By Pass Rota Meters as per the requirements of customers. We manufacture the offered array of rota meters in synchronization with patrons so as to meet their expectations. Offered rota meters are used for large flows in 2” & above size pipe lines, where direct on-line rota meter for different functions. The offered array is the most appropriate solution for piping and the flow rate via the rota meter as a flow indicator with volumetric. Backed by our infrastructural facility, we are engaged in offering a broad assembly of Acrylic Body Low Flow Rota meters. Offered rota meters are in-line with international quality norms to ensure this, we make use of premium quality raw material in the manufacturing process. Further, post production we check the array using modern machinery and latest technology to ensure its ability to stand tall on the expectations of patrons.